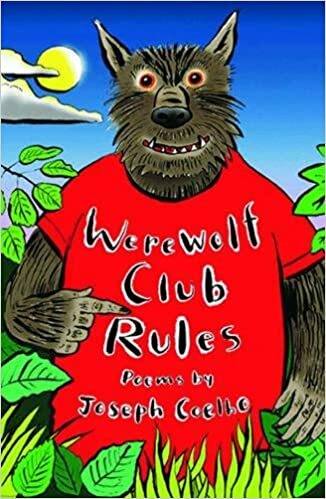 In Year 4 we have loved getting stuck into our class poetry text, Werewolf Club Rules by Joseph Coelho. Below are several links to poems performed by the author himself. Pick a poem and answer the questions below. What words and phrases do you like? What puzzles you about this poem? What do you think the poem is about? i like conquer because we have been learning about conquer also i really liked when it said five little children clasping mittens because why would they be clasping mittens it just seems like they are being silly.I found something that puzzles me it was when it said the tallest boy in class would sit on a root and his feet will not touch the ground but how i think this poem is a bout children collecting conquers or finding them. I picked conquer because we was learning conquer.What words i like is 'five children clasping mittens' because i like the sound clasping mittens.That james the tallest boy in class could sit in the root but could not touch the ground. I think that it is quite good because i like the word . i chose the poem conker because the part that said 5 children clasping mittens was very intresting. the thing that puzzles me was when they said that james the tallest boy in class could sit on a root and his feet would not touch the ground.so the thing that puzzled me was that if he could sit on a root and his feet would not touch the ground how did he get on the root.I think that the poem is about 5 class mates trying to collect some conkers to use in English but they cant get to them. I like conquer because it's it is confusing and intresting like the part when it says five children clasping mittens thats my favorite phrase.What puzzles me is that he says James the tallest boy in class could sit on a root and his feet would not touch the ground. conquer. it was when they said 5 children clasping mittens because it make me feel like they are crumbling there finger.it puzzles me because it said he could not sit on a root but how can he not sit on a root.i think it about a class how try to hug a tree. I choose conquer because first the words and phrases,my favorite phrase is when they say "leaves beckening and my favorite word is clasping mittens because beckening and clasping cause you feel interested like I want to know what it means.The thing that puzzles me is that "he can not sit on a root".I think the poems about five children finding it difficult to sit on a root and they are not going to give up and find a way to sit on a root. I chose the poem conquer because we have bin doing some sigh for it. The reasen why I chose it was because that one of the phrases that I was intrestedin was the one that went like this five children clasping mittens and hold hands could hide behind the fold of his barcks. what I liked was all because it amazed me so much I could not belive it my face was in shock. What puzzles me is when it says he could sit on a root but his feat could not touch the floor. I think the poem was about them trying to be conquer but its to hard and they tried again and again but they gave up at the end. I am writing about conquer because I have been studying it for more then a week. my favourite phrases is five children clasping mittens because. I dreamed that they were squeezed there poor hands and at the end they had sore hands o1! year I thin your wondering what I think It is? I think it is five children trying to reach conquers but is failing. would you help them if you could? if you have read this I hope you enjoyed it. thank you!! I like the word sweling because it tells you about what it means. my favourite word was drum because it sounds cool. I Liked the one i am a writer because when we peformed it we added exciting voices and my favourite part is meloides because of the way we said it. Can you tell me more about werewolves? For e.g What so they call the top werewolf?